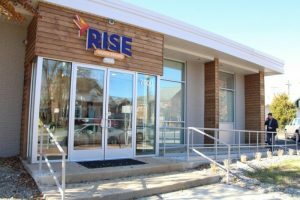 Rise, a Silver Spring based dispensary located on Fenton Street prepares to sell medical marijuana. There was great excitement among the first visitors in the plush waiting room of Rise- Silver Spring marijuana dispensary. The prospective patients were young and old and many of those present were simply curious. They all came to see the newly built and designed establishment that will shortly be dispensing medical marijuana. While the display cases are currently bare, they will soon be filled with medical cannabis that has been grown and processed in Maryland. 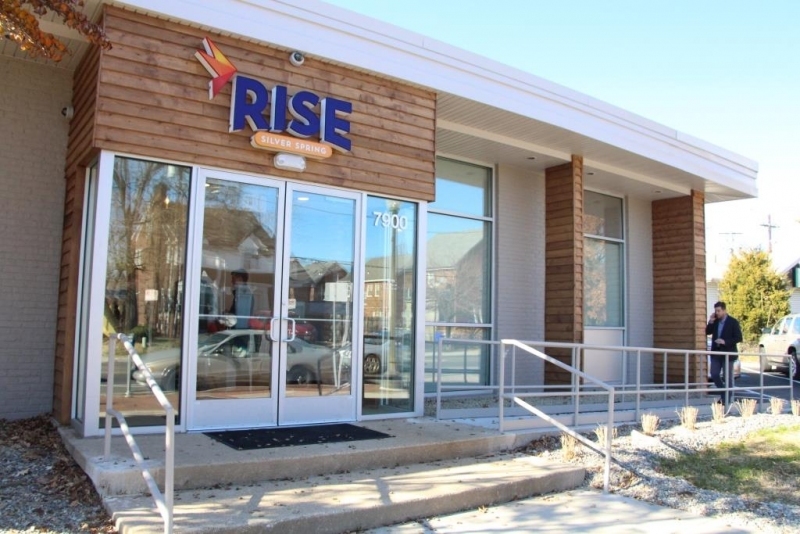 Rise was recently awarded its final license by the Maryland Medical Cannabis Commission. The Rise Silver Spring Marijuana dispensary on Fenton Street is among the first cannabis dispensaries to open in Maryland. This is a full five years after the state passed a law to legalize medical marijuana. Rise is scheduled to open in the forthcoming week and will sell a variety of marijuana products including flowers, patches and oils. It will be one of eight dispensaries including Potomac Holistic in Rockville licensed to operate in the state. Most dispensary owners and industry leaders expect that medical marijuana will be made available to patients by Friday. This will be the official launch of medical cannabis in Maryland and it is believed that it will grow into an industry worth billions. The first batches of medical marijuana are expected to come from Curio Wellness of Baltimore County, which is one of the 14 approved growers. The former Baltimore Ravens star Eugene Monroe was present at the grand opening event and took part in the ribbon cutting festivities. The former football player is a partner with Green Thumb Industries. GTI is the parent company of Rise- Silver Spring. Monroe is a long-time champion of the use of medical cannabis for pain management. He believes that medical cannabis can help with the current opioid epidemic and he is lobbying the National Football League to remove marijuana from its list of prohibited substances. There are 14 growers, 12 processors and 9 dispensaries who have received their final licenses from the Maryland Medical Cannabis Commission. Some 15,000 people have registered to become patients for the Maryland program and there are currently 8,500 patients who have received final certification to purchase medicine. There are approximately 550 health-care providers who have registered with the Commission and are certified to prescribe the drug to their patients. It is believed that many people can benefit from legal cannabis as this special plant has the power to heal many diverse conditions. Legal conflicts and bureaucratic delays have slowed the launch of the medical marijuana industry in Maryland. The commission was inundated with submissions from prospective marijuana businesses, and this significantly delayed the start of the industry. There have been claims that the entire process was unfair as there were no minority owned business who received licenses. However, the program is moving full steam ahead and looks to incorporate more diversity within the near future. Andy Grossman, a partner at GTI stated that the opening of the dispensary was a “great day for the patients of Maryland” and that those in need can access “quality medicine in a safe and dignified manner.” Tuesday’s event was meant to introduce the community to Rise. Once marijuana arrives on site access to the dispensary will be restricted to certified patients only. Anne Quinlan and Judd Juha, a married couple who are both battling cancer are hoping that medical marijuana can help treat their debilitating conditions. Anne Quinlan, is suffering from Stage 4 non-Hodgkin’s lymphoma and believes that medicinal marijuana may help her regain her appetite and help with her fight against the cancer. She needs to increase weight and regain the 20 pounds she’s lost from her condition. Juha, diagnosed three years ago with lung cancer, hopes it alleviates the extreme pain in his chest. The couple have registered with Rise and hope to purchase medical cannabis as soon as possible. There are thousands of other individuals just like Ann and Judd who suffer from chronic ailments and are eager to start receiving treatment with medical cannabis.